Kim Ford has been writing professionally since 2008 with her work appearing in various publications and on websites, including "The News" and "Sportsister." She received a pre-entry certificate in newspaper journalism with a news associate/sports-beat emphasis from the National Council for the Training of Journalists. The glycemic index is a ranking system devised to measure how quickly carbohydrates are released into the body. Carbohydrates affect blood sugar and insulin levels. Slow-releasing carbohydrates are low on the glycemic index and can keep your blood sugar levels stable. Foods higher up the glycemic index will release their energy quicker, often causing the blood sugar levels to rise and fall rapidly. Following a low glycemic index diet helps control diabetes, and also plays a role in cardiovascular disease prevention, according to the Linus Pauling Institute. Bananas are low on the glycemic index and release their energy into the bloodstream slowly. According to the International GI Database, fully ripe bananas has a glycemic index of 51. This counts as a low glycemic index food, because its GI value is under 55. The maturity of your banana can have an effect on its GI rating. Slightly under-ripe bananas with green sections remaining have been calculated at 42 and over-ripe bananas with brown flecks have a GI of 48. This is not a huge difference, but it is something you might like to be aware of. Bananas are easy to include into your diet and will help keep your blood sugar levels stable. Try slicing a banana on to your porridge in the morning for a low GI breakfast. Mashed banana on toast is a long-lasting snack or light lunch idea. The low GI of the banana counteracts the high GI of the bread for a more balanced result. For dessert, opt for a banana split or banana custard to avoid spikes in your blood sugar levels. According to the database, banana cake has a GI of 47 and is classed as a slow releasing carbohydrate. A slice of banana cake is an ideal choice if you fancy a treat without sending your blood sugar levels sky high. Another option is a banana, oat and honey muffin. They have a GI of 65 and are classed as having a medium GI. Banana milkshakes and smoothies contain slow-releasing carbohydrates and can help keep your blood sugar levels stable. According to the database, 250 ml of full-fat banana-flavored milk has a GI of 31. The soy equivalent with 1 percent fat has a GI of 30. Banana smoothies also have a GI of 30. Try one for breakfast to help keep you feeling full all morning. Green bananas are more commonly known as plantains. They are members of the banana family but contain less sugar and have to be cooked before they can be eaten. Plantains are most commonly eaten after frying. According to the database, fried plantain is a slow-releasing carbohydrate and has a GI of 35. 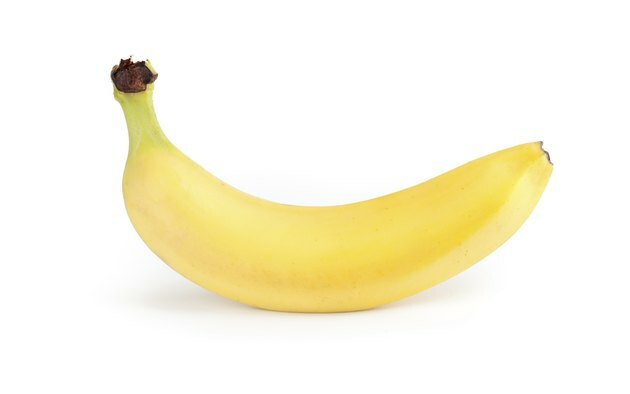 Should I Eat Bananas if I Want to Build Muscle? What Are the Health Benefits of Banana Bread?